When remodeling a bathroom in a traditional home converting it into a rustic space is a good idea. Rustic style can be both primitive and sophisticated. Bathrooms consisting of made to order copper bathtubs and Mexican vessel sinks surrounded by hand handcrafted talavera tiles in hacienda style are quite appealing. 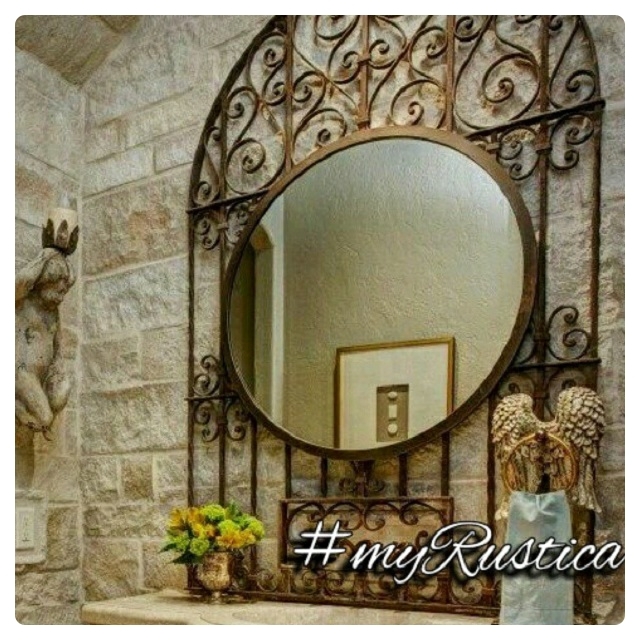 To achieve desired rustic effect rustic bathroom furnishings are handcrafted of copper, zinc, wood, ceramics, stone, pewter and aluminum. You can use in a rustic bathroom a single metal or combination of them. Once you hang on the wall a decorative punched tin mirror and colonial lamps with soft light illuminating gently your bathroom, it will become your home focal point. Visitors and friends are going to talk about your rustic bathroom and its painted toilet in a positive sense for a long time to come.